Welcome to the award-winning, official website of Cricket Peru containing everything you need to know about cricket in, for and against Peru. 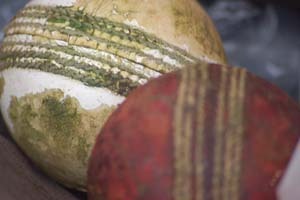 Cricket has been played in Peru for over 150 years, at the splendid Lima Cricket & Football Club, and is now undergoing resurgence as an Affiliate Member of the International Cricket Council (ICC) and a founder member of Cricket South America, along with Argentina, Brazil and Chile. International tournaments at Under-13 and Under-17 level. Peru participated in the ICC World Cricket League and The Llamas made their third appearance in the ICC Americas Division III Championship in San Jose, Costa Rica in March, 2011, coming second with four wins out of five. A bi-annual South American Championship (SAC): in April 2009, this was held in Sao Paulo, Brazil and featured teams from Brazil, Chile and Argentina. In Dec 2011, the venue was Santiago, while in Feb 2013, the Llamas travelled to Buenos Aires. With the scrapping of the ICC Americas Division III Championship in 2012, it was decided to hold the SAC on an annual basis. In April 2014, it was the turn of Cricket Peru to host the event, which it did with great success in Lima. For the first time, Mexico was invited to the event … and the Women’s SAC was played simultaneously between Peru, Brazil & Argentina. In 2015, in Santiago, Colombia was added to the roster, making the SAC a 6-country competition, for the first time. The Vicuñas are the Peruvian Women’s national team, and they have now competed in four South American Championships, starting in Brasilia in 2011. So, there are numerous opportunities to play, umpire, score, coach or just spectate, at the level which suits you. If you would like to get involved, please don’t hesitate to get in touch using the details below. You will be made most welcome … and you could be an international athlete, before you know it! Trials, Tribulations & Triumphs – Cricket Development in a Developing Country:It has been nearly two and a half years since I started cricket development in Lima, Peru. A lot of people ask me, “How on earth did you get that gig?”, with an incredulous look on their face. To be honest, I sometimes forget that this whole journey started off with an email … that I never thought I’d get a response to. Magdalena Junior T-Cricket Tournament – Saturday, 28th May, 2016:Cricket Peru’s first – and certainly not last – female Development Volunteer, Samantha Hickman, has continued to play a vital role in the growth of the junior game in Lima, since her arrival in January. Here is her latest report from the trenches, in the aftermath of the largest junior tournament yet staged in Peru. Summer Report from Cricket Peru Development Volunteer:Samantha Hickman arrived in Lima from Australia in January this year, in order to assist Cricket Peru’s Development Officer, Steve Hallet, with the Development Programme. A keen cricketer, Sam has been playing in the National T20 Championship, as well as coaching junior cricket in various locations around Lima. Here is a summary of her activities since arriving.